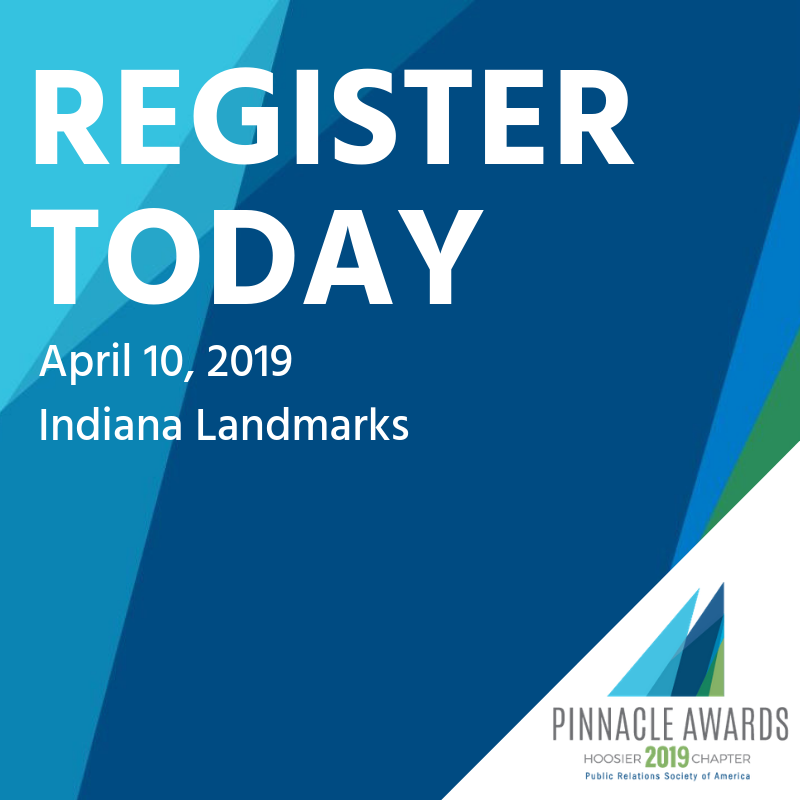 Come celebrate Indiana’s top public relations and communications talent from 2018. Featuring Emily Longnecker, Emmy Award winning journalist with WTHR. Be prepared to bid on items at our annual silent auction to help fund our Chapter’s student scholarships, and enjoy drinks with fellow attendees at our cash bar. Wednesday, April 10, 2019 from 5:30 to 8:30 p.m.